Aapke Aa Jane Se Arya’s engagement twist. Sahil, Vedika, Arya and Guddu dance in the engagement function. Vedika loves Arya a lot and is happy for her. Everyone is celebrating. Even when Sahil has lost his memories, he loves Arya as his daughter. He is still her Sahil Papa. Arya is very excited to marry the person she loves. She has finally found true love in Guddu. She is moving on with the bad relationships. Guddu genuinely loves Arya. Vedika believes Guddu and his love for Arya. She supports their love by opposing Manjula. Arya faces a wardrobe malfunction. Sahil and Vedika observe this. Sahil covers up Arya with his jacket while dancing. He doesn’t let anything know this. Vedika gets glad to see Sahil’s sensible move and true concern for Arya. 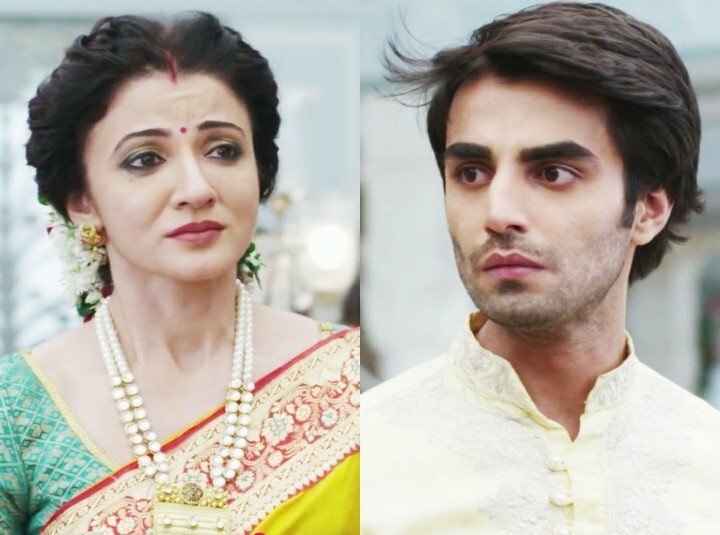 Vedika and Sahil don’t know about Mandakani’s scheming against Arya. Arya thanks Sahil for always being a protective fatherly figure for her. Sahil and Vedika hug Arya and bless her. They plan Arya’s haldi ceremony. Pankti assures Vedika that she will make sure that nothing goes wrong this time. Sahil helps Vedika like always. They share a moment. Vedika gets crying and misses Sahil’s love. Everyone applies haldi to Arya. Sahil realizes his feelings for Vedika and is confused. Vedika wants him to recall their love. Pankti asks Sahil and Vedika to have a dance performance in the haldi ceremony. She insists them to dance so that she can bring them close. Arya is happy with her parents’ union.